There are few things more peaceful than the scent of lavender, so as you can imagine a whole field of the stuff is pretty much the most glorious spot ever. Not to mention, it's pretty photogenic too! In my opinion, there needs to be far more fields of colourful flowers around. Last week I had a big change. It's one that I was expecting for a while, but even when it hit me it was still kind of hard to process. There's an emptiness that goes alongside change, a sort of realisation that everything you had is now gone and you have to somehow deal with it. I must have first heard about the famous Angelina through a blog, or maybe several blogs back when I first started this little corner of the internet. I knew, as soon as I saw that hot chocolate that it was a destination I would have to visit if I ever found myself in Paris. And of course, I finally took a visit. It's pretty much always been an absurd dream of mine to prance about Paris in a tulle skirt, acting as though I were in some kind of old fashioned movie where I'm Audrey Hepburn exploring a beautiful new place. Well, I made that dream come true! Last week I finally got to experience a day I've wanted to attend for so long...Ladies' Day at a racecourse! As somebody who's seen photos from numerous raceday events of women in huge hats eating amazing food and drinking champagne, I've always wanted to see what the day is really like for myself. So when Newbury Racecourse got in touch and asked if I would like to attend Betfred Ladies' Day, I jumped at the chance to dress up, get my heels on and strut down to the racetrack for a fantastic day out. For me, Soho has always been the hotspot in London for amazing lunch spots. I've tried quite a few now, but I'm always on the lookout for new ones, so I did a little shoutout on Twitter for recommendations and quite a few people threw back Whyte and Brown. I had never heard of it before, but after a quick google map search I found myself there. For the record, my love of Disney is only rivalled by my love of Harry Potter. Since I was a child I have been obsessed with the magical world created by Queen J.K. Rowling, so when I found out that a new play Harry Potter and the Cursed Child was coming to London, I queued online (for a solid 10 minutes because I was luckily placed right at the front of the queue) to nab tickets in its first release. And boy, am I glad I did! 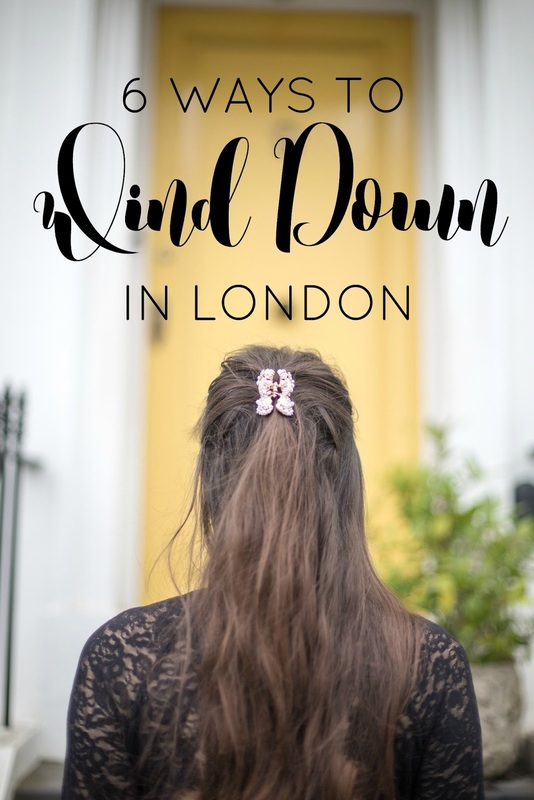 There's no doubt that London is one of the fastest moving cities on the planet, so sometimes it can seem a little surreal to imagine it being a place for any kind of relaxation. I spend most of my time in the city rushing to events or lunches and sometimes the only time I have to catch my breath is when I sit down on the train home! But believe it or not there are some little secret gems that I adore that calm me down in seconds, especially when I'm feeling a bit overwhelmed with the place. Whenever I think of the Races my mind immediately flicks to the incredible scene in My Fair Lady, when Eliza Doolittle makes her incredible entrance in that giant hat and bow adorned dress. I've definitely imagined turning up in something similar, but I think I would definitely get a few stares nowadays! However, next week I'll be heading off to Betfred Ladies' Day at Newbury Racecourse, so outfit inspiration is definitely something that I am on the hunt for. 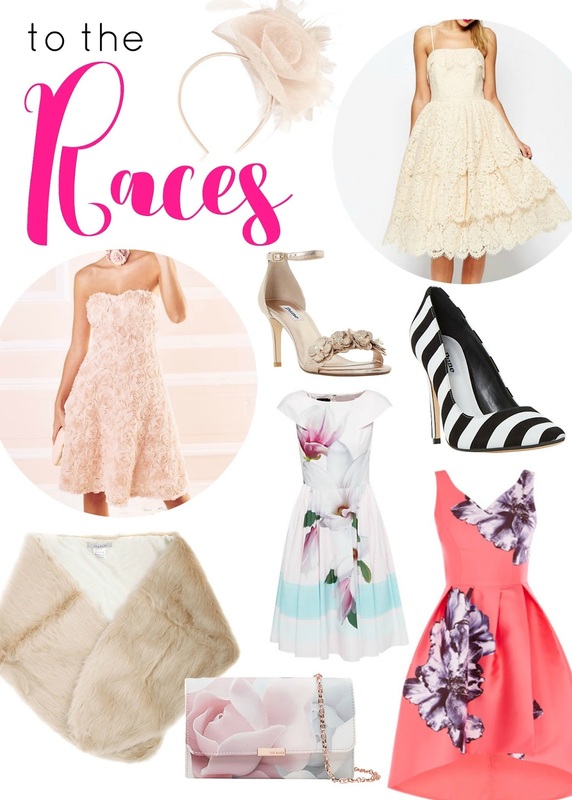 So I've created a little mood board/wishlist thing to give you a bit of raceday inspo, whether you're headed to the races this Summer, or just need a fabulous outfit for a special occasion. BUT, if you do have a similar Eliza-esque dream to me, you too could be coming along to Ladies' Day with me! Newbury Racecourse have kindly offered one lucky reader a pair of tickets to the event on Saturday 13th August to dress up in some gorgeous clothes and watch Will Young perform live! The prize also includes a £30 John Lewis voucher to help you get that dream dress for the day. Just enter the rafflecopter giveaway below! It's open to UK RESIDENTS ONLY who are 18+ and it closes at midnight on 8/8/16. Good luck! P.S. I've been kindly given a discount code to get £5 off each ticket purchased for the Ladies Day HERE! Just use the code "FUN16"! A fun fact about me is that my all time favourite flower (other than peonies) is the rose. Probably the Beauty and the Beast in me coming out, but I mean, come on! They're beautiful, smell amazing and are the most romantic flower in the world. What's not to love! So when the lovely people at The Hut Group invited me along to the launch of a brand new beauty bag from The Beauty Expert that was entirely centred around roses, I was so excited. A whole bag of rose themed products? Um, yes please!